You require and successfully collected the W-9. Are you performing the recommended validations? To avoid fraud in the vendor master file, validations need to be done to confirm the vendor is real and that data submitted for changes to any existing vendors is real. This is especially true for those Accounts Payable Vendor Maintenance teams that receive these requests and supporting documentation from internal team members, since authentication of how the data was received (crook.com?) may not be available. Ensure compliance with regulatory agencies, policies and laws where non-compliance can result in significant fines and civil and criminal penalties. Ensure that there are no duplicate vendors that can result in duplicate payments and be an indicator of fraudulent vendors existing in your vendor master file. For those teams that have a vendor self-registration portal, great, but read on to see if there are any recommended IRS W-9 validations that may be missing in your current portal. IRS Tin Match – Use Legal Name and Tax ID combination to verify match with IRS records to reduce potential for interest and penalties resulting from data mismatches. IRS Exempt Organization – For Non-Profit Vendors. After IRS TIN Match, use Legal Name and Tax ID combination to verify that the vendor is registered as a tax-exempt organization. Duplicate Vendor Check in Accounting System/ERP – Search by Legal Name and Tax ID, and across all vendor master files if you have multiple Accounting Systems/ERPs. Duplicate vendors = duplicate payments. System of Award Management (SAM) – For Government Entities Only – Search by Legal Name. Governments are prohibited from Awarding Contracts to entities that are on their exclusion list. OFAC/Specially Designated Nationals (SDN) List – Search by Legal Name. Vendors that appear in search results should not be setup in the vendor master file as US entities are prohibited from doing business with these vendors. Notify leadership as there should be a formal process to verify any match. USPS – Verify that addresses are real and standardized for error-free delivery. Includes both US and Non-US addresses for all mail that will be handled by USPS. Universal Postal Union – Verify that addresses are real and standardized for error-free delivery. Mail initiated outside of the US for Non-US address delivery. As normal, review these recommendations with your leadership and/or auditing team and adjust based on your Accounting system/ERP or 3rd Party systems for your company processes and your industry. 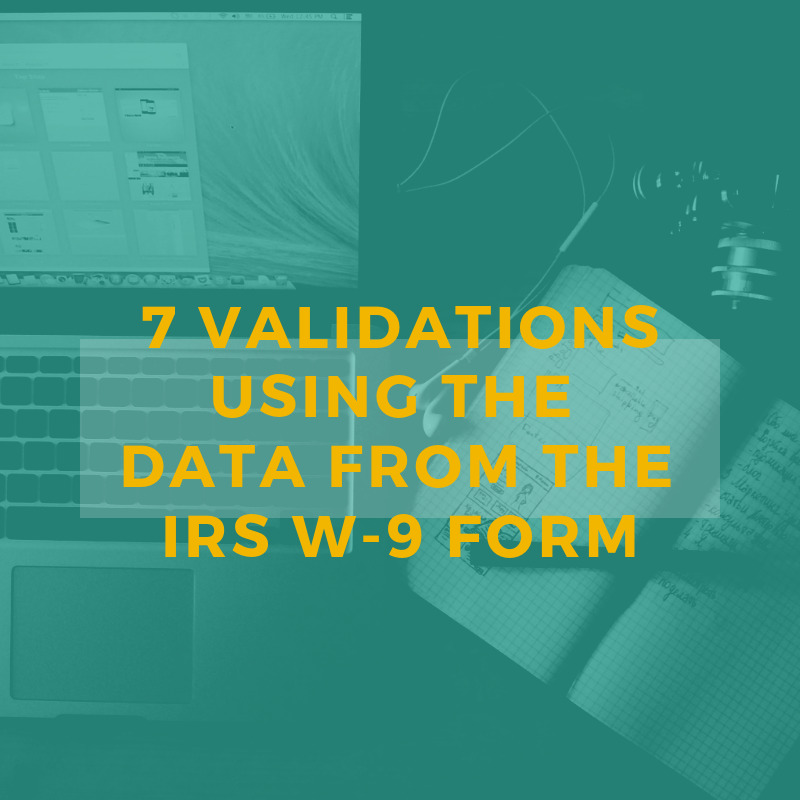 Feel free to comment below if there are additional validations using the IRS W-9 form that you or your team does to ensure that real vendors and real vendor data is updated in the vendor master file. Listen to my Podcast Episode 9 that will review validation recommendations for Banking Details, Invoices, and Contracts/SOWs and Authenticated Emails. The podcast will be published on Monday, December 17, 2018 here: www.debrarrichardson/podcasts. Want a handy Cheat Sheet that includes the links to the validation resources? Sign up for my mailing list below, download the Vendor Validation Reference List and share with your entire team!